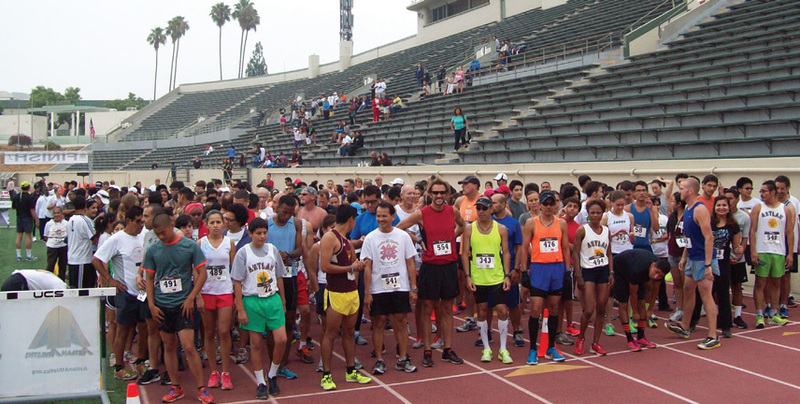 Aztlan Athletics Foundation started their roots in 1974 through the Aztlan Track Club (Carlos Alfaro 1974- Current). It was the first community-based organization (Aztlan Athletic Congress 1982). 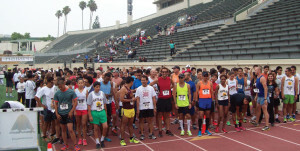 Aztlan Athletics owns and manages four unique grassroots, community-based, fundraising run/walk, health and wellness events to support its mission. Aztlan Athletics Foundation also provides employee wellness consulting services and offers the events to socially responsible organizations that are interested in incorporating a wellness program for their staff. In addition, Aztlan Athletics Foundation finishes it’s yearly wellness campaign with the Aztlan 5K Classic & Tamale Fest on Thanksgiving weekend, which includes the scholarship awards for the promising youth who were awarded..
Our strategic goals for 2015 is to strengthen the diverse beneficiary portfolio and reach out to underserved communities that are in need of health and wellness services, while providing proceeds to the non-profit agencies aligned to each event (participating charities). These agencies support Aztlan Athletics Foundation mission by facilitating awareness about critical social and environment issues impacting the various communities they serve. Events are owned and/or operated by Aztlan Athletics Foundation, in conjunction with Aztlan Athletics, which reduces overhead costs, maintains most of the operation in-house, and utilizes existing community partners infrastructures to ensure the foundation receive the highest net proceeds possible. Organizations who are interested in developing their own run/walk, health and wellness event or their employee wellness program are now able to reach out to Aztlan Athletics Foundation wellness consultants and take advantage of this unique fundraising event management model. Aztlan Athletics Foundation event management internship program will certify associates to be able to assist in the coordination and/or project management aspects, while assisting them to complete this hours and receive the certification.